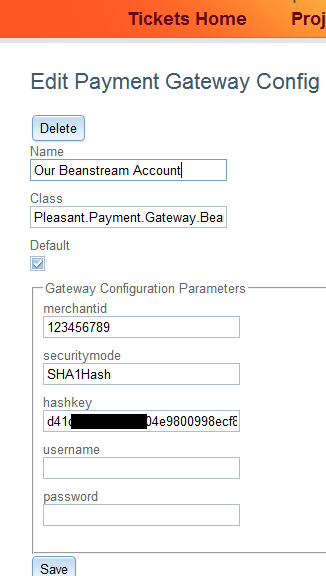 To connect with Beanstream, log on to the Beanstream backend, and select Administration -> Account Settings -> Order Settings. On this page, check "Require hash validation", and "Include hash validation". Below, paste in an SHA-1 hash, and select SHA-1. 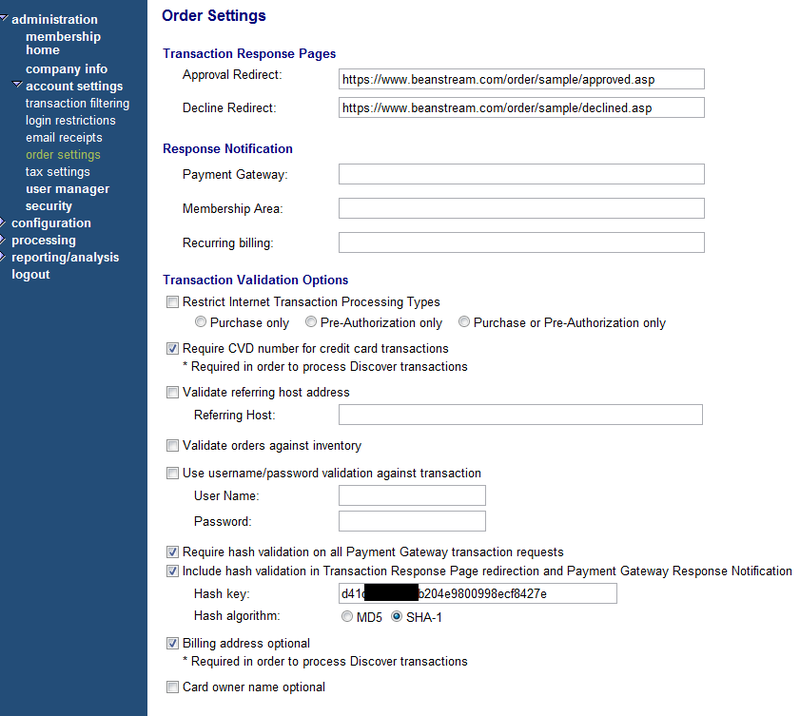 Also check "Billing address optional. In "Company Info", make sure the Company Time Zone is set correctly, in order that online reports list the correct times. There may be something called a "terminal" that has to be added to the account in order to accept processing. Ask your Beanstream representative about this. If you plan to use the "ref" fields to pass data distinguishing these transactions, you'll have to call to enable "Reference Viewing" on the account. (This feature can't be enabled through the interface either, but the entries will show up in the transaction details page when enabled).